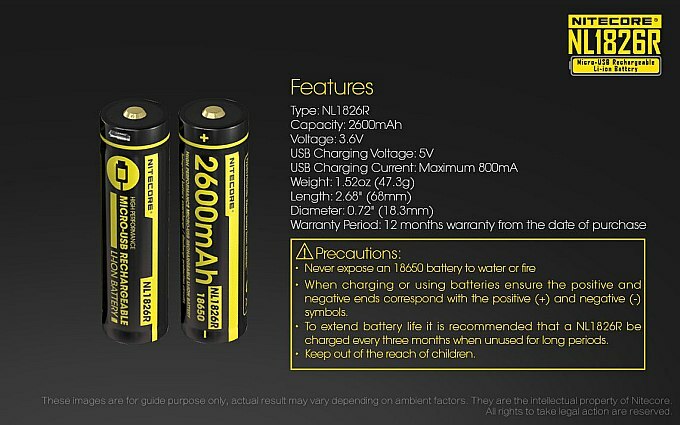 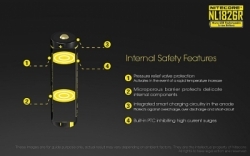 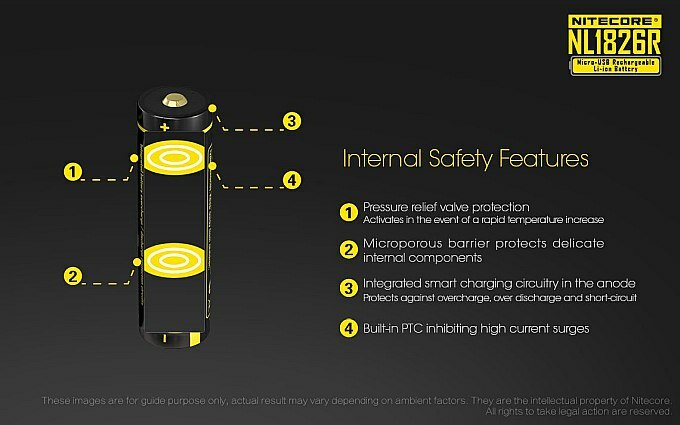 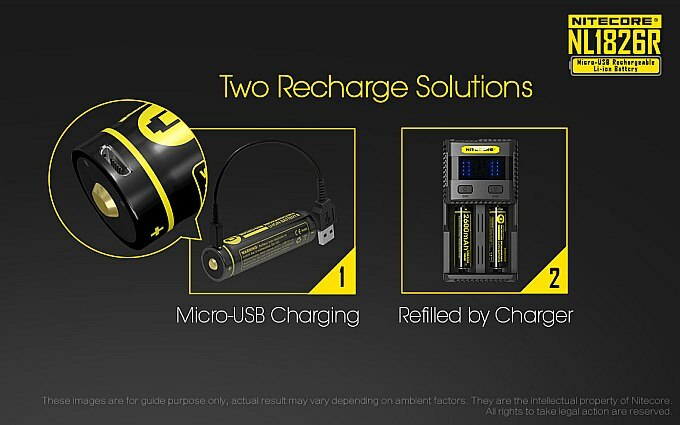 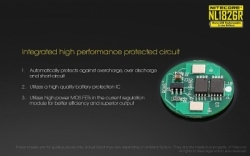 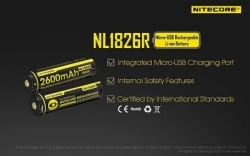 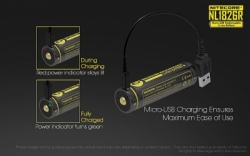 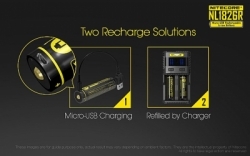 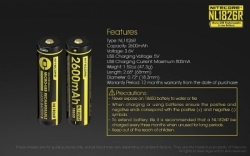 High energy Li-ion power for specialty devices, the Nitecore NL1826R is an 18650 battery with the unique ability to recharge directly via USB power. 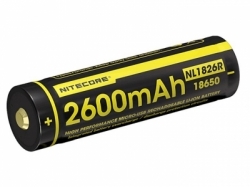 This battery provides 3.6 Volts of power, perfect for electronics such as high output LED flashlights. 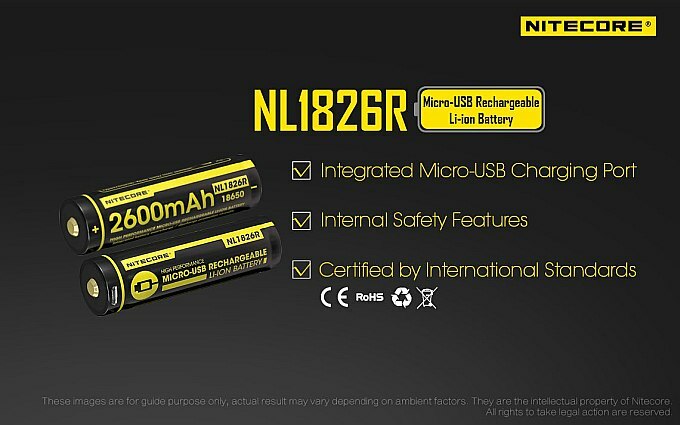 With 2600mAh capacity, the NL1826R keeps devices running longer and stronger than competing batteries. The integrated micro-USB port is compatible with all standard USB charging stations, and quickly and easily restores the battery to full power. 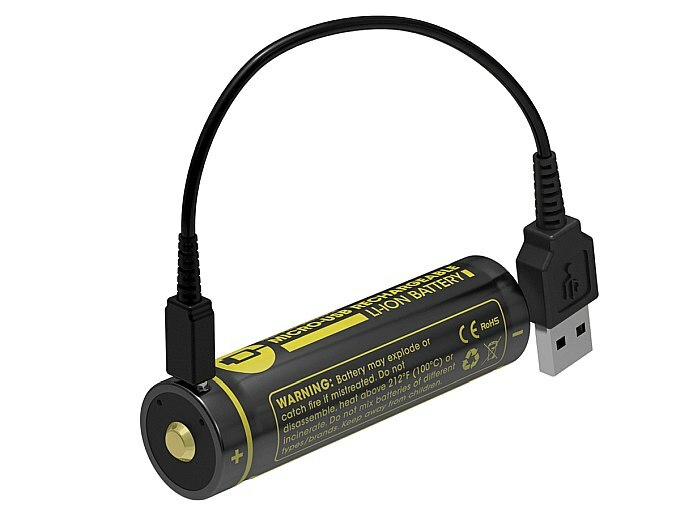 A USB cord is d, making this battery great for travel.